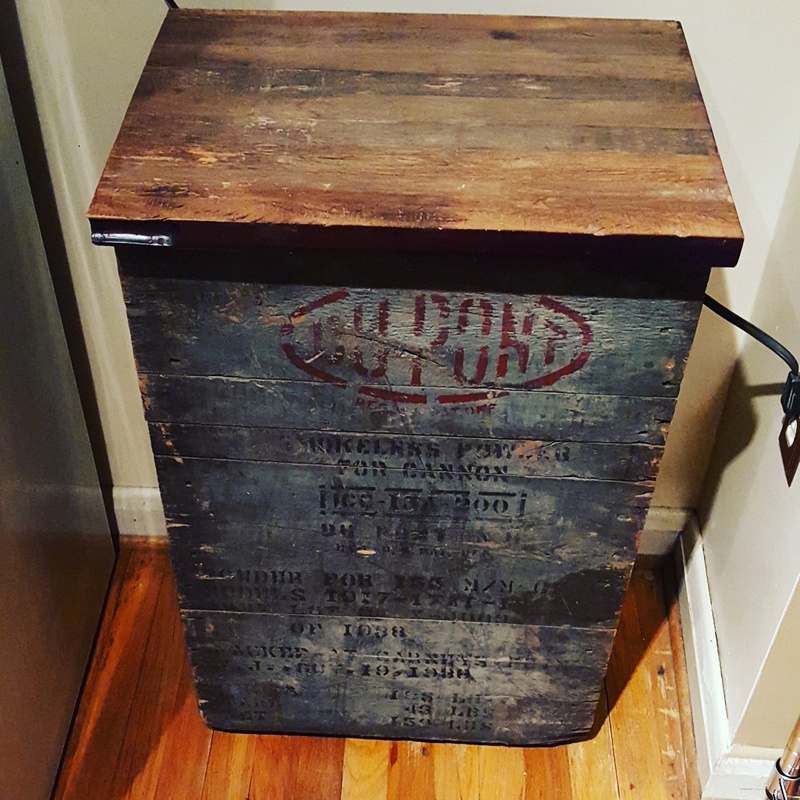 @bmoremelloyello found an old dupont crate that was originally used to ship gunpowder for cannons. Sweet enough on its own, but we needed something to keep the pups out of the trash. This is heavy enough that my 100 lb dog finally can’t knock over. Add an old cabinet door and some old door hinges, and you get a new trash can cabinet. This entry was posted on December 2, 2015 at 11:22 am and is filed under Wilbur Cox Jr., Woodworking with tags carpentry, old is new, reclaimed wood, upcycled, woodworking. You can follow any responses to this entry through the RSS 2.0 feed. You can leave a response, or trackback from your own site.